"Beginning with our relocation to Florida in 2000, Mary Clare's savvy market experience and dedication to success has been instrumental in guiding us through two lease renewals and two relocations enabling us to meet the fluctuating facility needs of our business." 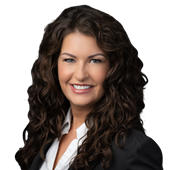 "In addition to the outstanding representation of our firm by Colliers International throughout the State of Florida, Mary Clare Codd has provided insight and value in the areas of real estate and economic development. Her significant strengths are understanding the market and tenacity in pursuing opportunities."